Another completed weekend project. I simply love flannel for blanket, plus with designer's touch , the prints & colors are simply yummy. 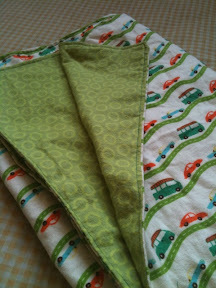 Had fun with my sewing machine ;-) This blanket took less than 1 hour to complete.